The Canon Pixma MP630 is midrange all-in-one printer for the home office to small office users. The printer is built with an excellent design and it offers many advanced features that make office work much easier. Plus, the Canon Pixma MP630 ink cartridges produces professional quality printouts. The compact device measures 450x468x176 mm, and boasts a small footprint that can fit in any small workspace. The printer has a large colour TFT display and an easy-to-use control panel. The control panel has a scroll wheel for navigation and function keys. The device also has a flatbed scanner at the top. 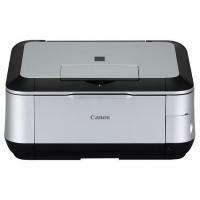 The Canon Pixma MP630 is a mid-range printer good for office works. It offers great features and print quality with the help of its Canon Pixma MP630 ink cartridges. However, the slow speed and lack ethernet and wireless connectivity can be bothersome. Q. How replacing the ink cartridges for my Canon Pixma MP630 printer provides better printing results? Note: Do not rinse or wipe the printheads and ink cartridges. Rinsing them may cause trouble with the printheads and ink tanks. Step 1: Make sure that the power is turned on, and then gently open the paper output tray. Step 2: Lift the scanning unit (Cover) until it stops. The print head holder then move to the replacement position. If the document cover is open, you cannot open the scanning unit (Cover). Step 3: Replace the Canon Pixma MP630 ink cartridges with the lamp flashing fast. Take the new ink cartridges out of its package, pull the orange tape gently in the direction of the arrow to peel it off and then remove the film. Hold the orange protective cap and twist to remove it from the bottom of the ink cartridges. Remove the protective cap while holding it to prevent the ink from staining your fingers. Discard the protective cap once it is removed. Insert the front end of Canon Pixma MP630 ink cartridges into the printhead at a slant. Make sure that the position of the cartridges matches the label. Press the (Push) mark on the ink tank until the tank snaps firmly into the place. Make sure that the ink lamp lights up red. Important: One cannot print if the ink tank is installed in the wrong position. Make sure to install the ink cartridges in the correct position according to the label on the printhead holder. One should not print until all the ink tanks are installed correctly. Make sure to install them. Step 6: Close the scanning unit (Cover) gently and try printing a test page first. Q. How many copies can Canon Pixma MP630 make at a time? A. A Canon Pixma MP630 can make a maximum of 99 copies at a time. Q. Are your compatible Canon Pixma MP630 ink cartridges chipped? A. The compatible Canon Pixma MP630 ink cartridges that we sell are fully chipped so you can install them directly in your printer. The chip is already fitted to the cartridge making it as easy to install as the original ones. Q. Is automatic duplex printing supported on Canon Pixma MP630? A. Yes, automatic duplex printing is supported by Canon Pixma Canon Pixma MP630. Automatic duplex printing can be performed on plain paper or Hagaki in A4, B5, A5 & Letter sizes. Q. How many pages can each of the compatible Canon Pixma MP630 ink cartridges print? Q. Can Canon Pixma MP630 directly print photos from a memory card without using a PC? A. Yes, this print allows you to print photos directly from a memory card. You can preview each of your photos saved on the memory card on the LCD of the machine and print the photos. Q. Are there any additional charges for ordering Canon Pixma MP630 Cartridges from this site? Q. Does the Canon Pixma MP630 printer support fax? A. Unfortunately, you cannot use the Canon Pixma MP630 printer to fax. Q. How to properly insert the Canon Pixma MP630 ink cartridges, if I placed them in a wrong way? A. When all ink tanks are incorrectly inserted, the top portion of all the cartridges will not be in place. The portion must go under the ink colour or sticker name. Then, push the latch lever in the direction of the arrow and pull out the ink tank. Pull out the rest of ink tanks by holding the upper part, and gently remove the ink tank twisting it. Q. I am not able to complete my print job until the end. What could be the issue? The space of the computer's hard disk has insufficient space. In such case delete the unnecessary files to free the disk space. Q. While buying the Canon Pixma MP630 ink cartridges for my printer, on what parameters I should focus on? A. If you are in need of high-quality cartridges with money-saving features, then you must go with the compatible ones as they save up to 70% when compared to original brand. When buying any cartridge it is important considering what you will be printing and how often you will be printing. Q. Hi, my printer has started two sheets of paper while printing. I heard that cleaning the cassette of the printer can help in resolving the issue. How can I clean the cassette of my Canon Pixma MP630 printer? A. You would need to clean the cassette if the pad on it is smeared with paper powder or dirt. Sometimes it is essential to clean the cassette of the Canon Pixma printer when two or more sheets of paper start ejecting from the device. Q. How can I check the ink status of my Canon Pixma MP630 ink cartridges? Turn on your Canon Pixma MP630 printer and press the HOME button. You can continue printing for a while with the ink (Ink low) which is running low, but we recommend you to have a new Canon Pixma MP630 ink cartridge available. If the light is off: Either the cartridges are not installed properly or the function for detecting the remaining ink level is disabled. If the Canon Pixma MP630 ink cartridge is not installed correctly, take it out and reinstall. If the ink lamp does not turn on even after reinstalling the cartridge correctly, replace the print cartridge with a new one. Q. Please some list good quality yet low-cost alternatives for Canon Pixma MP630 ink cartridges?